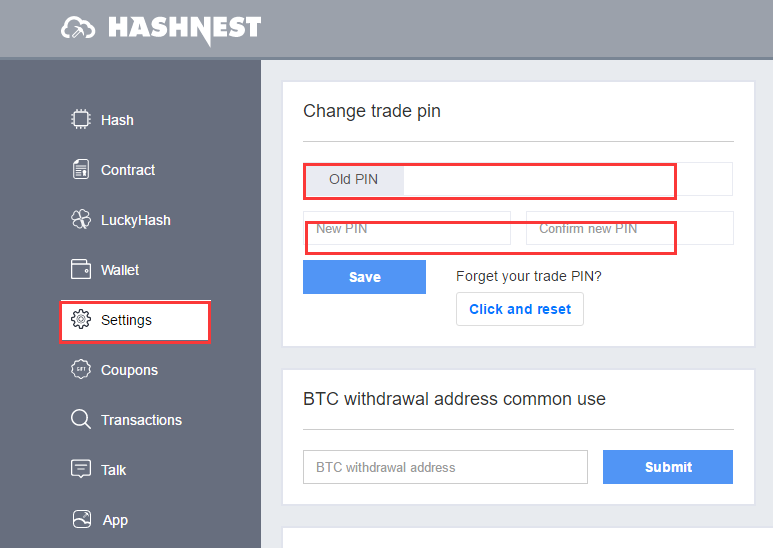 Trade pin will be used to purchasing or selling hashrates in market and withdraw, so it's very important. Please keep it as confidential and safe. tip: each trade pin must be at least 6 characters. 2. How to reset trade pin? 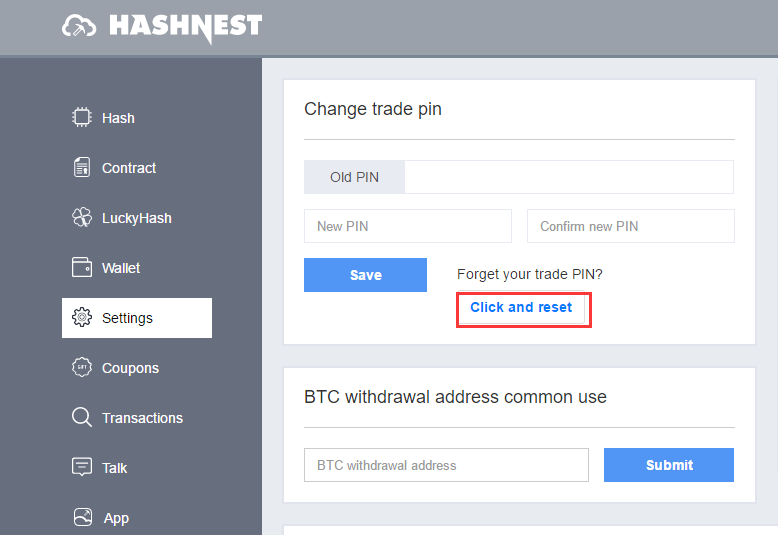 Use the reset function-a reminder will pop out saying that an reset email has been sent to your account email address-check your email and reset the new trade pin as instructions.